Synopsis: A century ago, the world burned. Even now, though rebuilt and defiant, civilization is still choking on the ashes. About the Author: I. A. Ashcroft dwells in Phoenix, Arizona, alongside a wonderful tale-spinner and two increasingly deranged cats. The author enjoys reading and pretending to be other people while rolling dice and wearing fancy hats. From Ashcroft's writing, you can expect dark fantasy, humor, violence, hope, flawed heroes, human villains, and more than a small dose of mythology. Review: A fresh and unique take on a dystopian world, Ashcroft has managed to take one of my favorite genres and breathe new life into it. 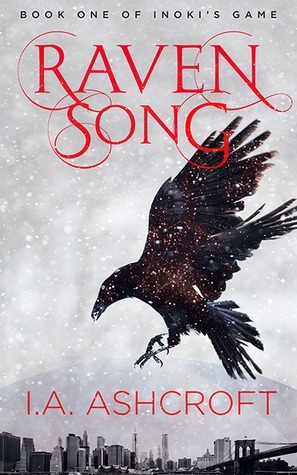 With touches of magic in a world gone south, Raven Song is packed with adventure and intrigue. A page turner you won't want to put down, I highly recommend this book.